If you are going on ANY youth event that involves traveling away from the church, you MUST have a permission slip. This form is not simply for permission but it gives us vital information to use in an emergency. Although we must have a new signature for each event you do not have to fill out the same information over and over for each event. Bring a filled out permission slip to the church and we will make photocopies for you. 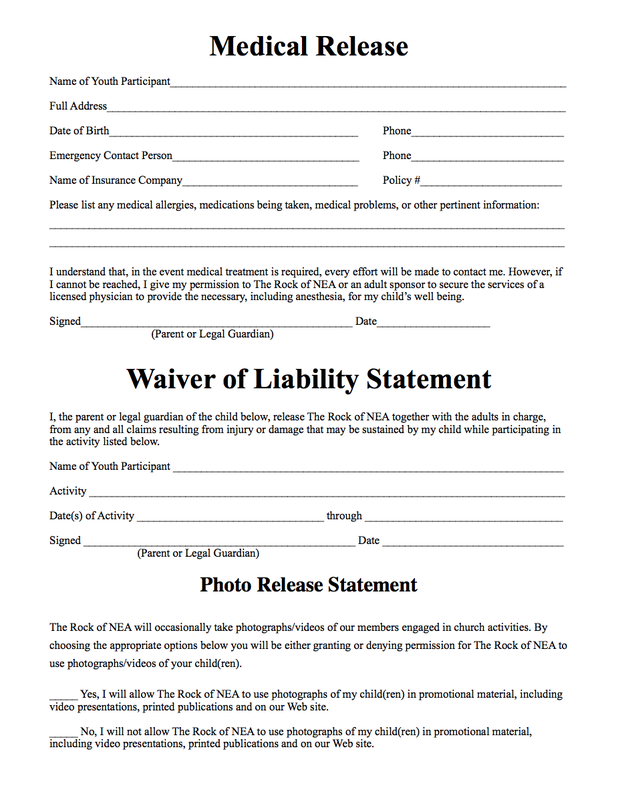 Then on the next event you would simply have to sign the dotted line and fill in the event information. This makes going on a trip simple and easy.